Quirky Jessi: Why would you knit a pink placenta?? 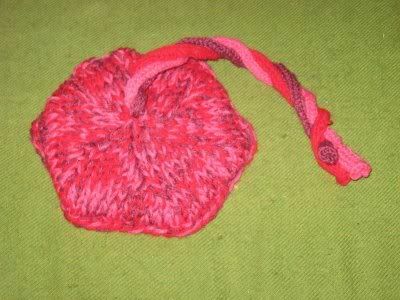 Why would you knit a pink placenta?? 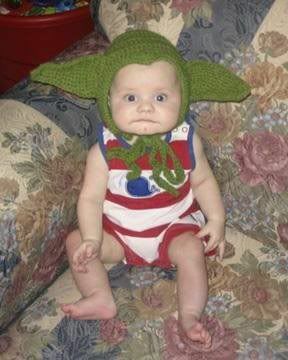 Why would you knit 'any' of these crazy pieces, for that matter? 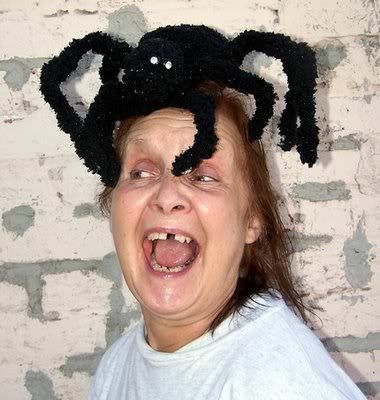 Whywouldyouknitthat is dedicated to yarn horror stories and oh boy are some of them horendous! The blog seems to be dormant now and it only lasted a couple months, but the pictures that are stored there are timeless. Yikes! Think a student could get out of doing the live frog (or there's a rat on the site, too) dissection in science class by using this instead? And yes, that's the pink placenta, knitted by the woman who was dealing with some screwy pregnancy hormones that make women do weird things....like not only have the thought to knit something like that, but the desire and dedication to actually do it! 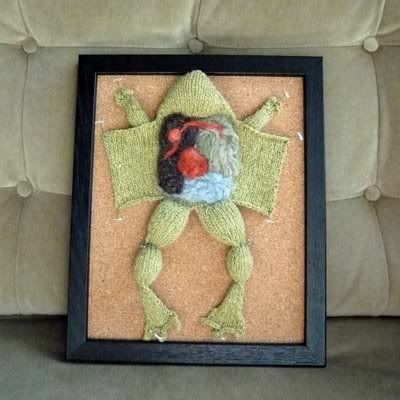 I actually really like the dissected frog. I mean, I wouldn't hang it in my living room or anything, but it would be kind of cool if I was a science teacher or something. the frog i can understand a bit but not the others!